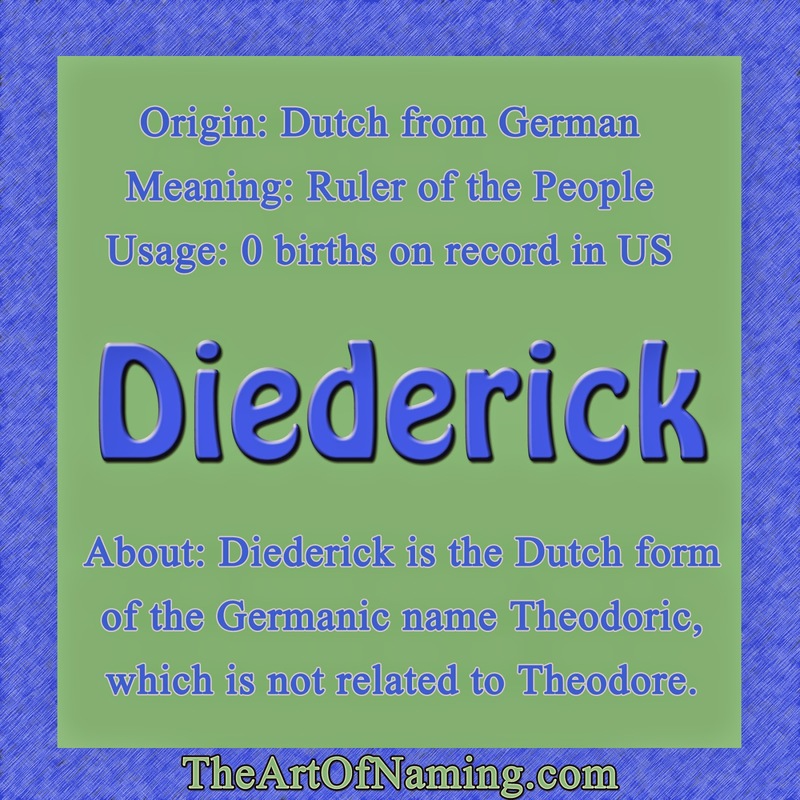 The male name Diederick is the Dutch form of the Germanic name Theodoric. Both mean "ruler of the people". Theodoric is completely different than the similar sounding Greek name Theodore which means "gift of God". There was a Theodoric the Great in the 6th-century who became the ruler of Italy. He was also called Theodoricus but the original Gothic version of the name may have been Þiudreiks which is where Diederick comes from. Pronounced DEE-də-rik, this cool and unusual Dutch name has some equally cool counterparts in other languages like Theoderich, Derek, Derrick, Dirk, Thierry, Tiede, Dierk, Dietrich, Thilo, Tielo and Tudor. However, as a baby name in the USA, Diederick is unexplored territory. There are zero births on record since records were first kept in 1880. Since the Social Security Administration does not report births for a name unless there was at least 5 in one year, it's possible that there have been a few boys named Diederick born in the US at some point, but they weren't recorded officially. 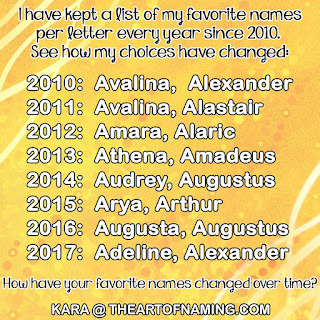 This means that if you were to use this name, your son would nearly be one of a kind! In the Netherlands, I could not find an official ranking for the popularity of Diederick there, but I did find out that it didn't rank within the Top 500 or so names in 2013. Today's Dutch parents highly favor short names. Diederick is rather long is it may be rather rare and unusual everywhere which makes it all the more fun, especially with a nickname like Dee, Derick, Rick or Ricky.